Mo'ne Davis went from an unknown aspiring Little League World Series participant in the spring, to a one-name phenomenon by the end of the summer. That supercharged rise landed Mo'ne on espnW's Impact 25. 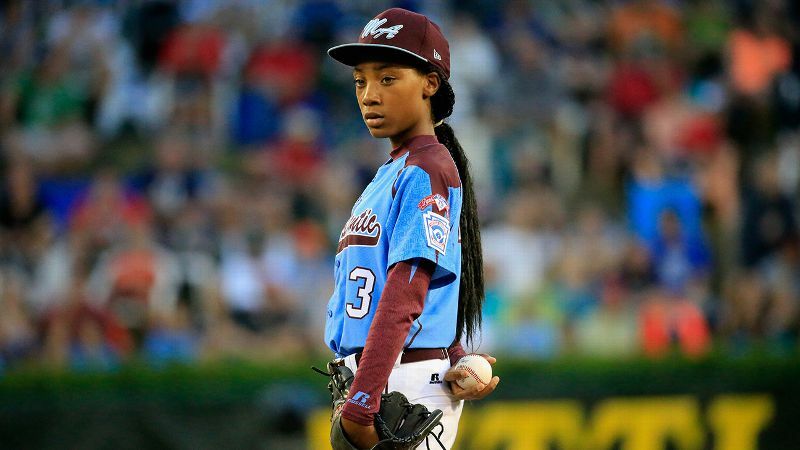 Since Mo'ne Davis became the first female pitcher to win a Little League World Series game, the 13-year-old Philadelphian has crossed the country for TV spots, photo shoots, a Spike Lee-directed ad campaign and the filming of a documentary. She even threw out the first pitch at Game 4 of that other World Series, and she's co-writing a book. 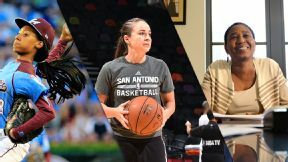 She is also a member of espnW's Impact 25 from 2014. Here, she reflects on the attention, in an ESPN The Magazine piece from The Interview Issue. The Mag: Are you surprised that people are this interested in you? Mo'ne Davis: Yes and no. People ask the same questions, and I know they've read all of the articles. I don't know what they expect. I guess they want to meet me and see how I am. It is pretty cool. What question are you tired of? "What does it feel like to be a role model?" My gosh. You can't really picture someone else looking up to you. What would you like to be asked? "What's currently on your iPod?" The kind of question you would ask a kid you just met. I'm just developing in life like everyone else. So what is the most played song on your iPod right now? Probably "Break Free," "Bang Bang," a lot of Ariana Grande songs. Miley Cyrus, Austin Mahone, One Direction, Justin Bieber, Becky G, Fifth Harmony. I have a lot of people, a variety of music. You've actually had the chance to meet a lot of famous people. Have any of them said something that has stuck with you? Just to be me, to be myself. Any butterflies meeting those people? When I went to go shake Chase Utley's hand, I kind of had butterflies.